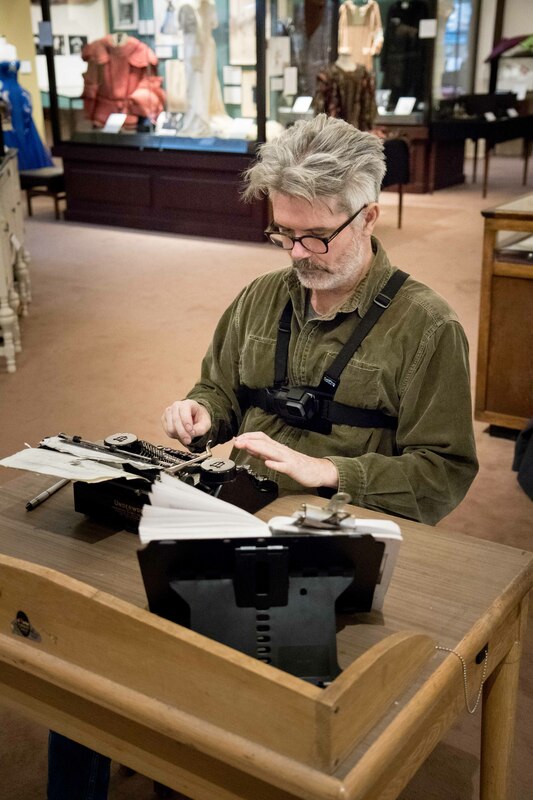 Artist Tim Youd has been retyping Daphne Athas’s novel “Entering Ephesus” in UNC’s Wilson Library. 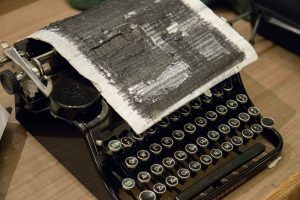 Nearly a half-century ago, Daphne Athas typed Entering Ephesus, her semi-autobiographical novel of life in Chapel Hill during the 1930s. 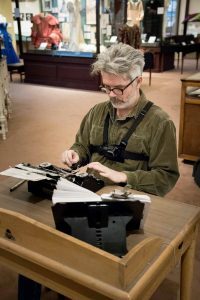 This week, artist Tim Youd has been at UNC’s Wilson Library and Ackland Art Museum, retyping the entirety of Athas’s 1971 work. 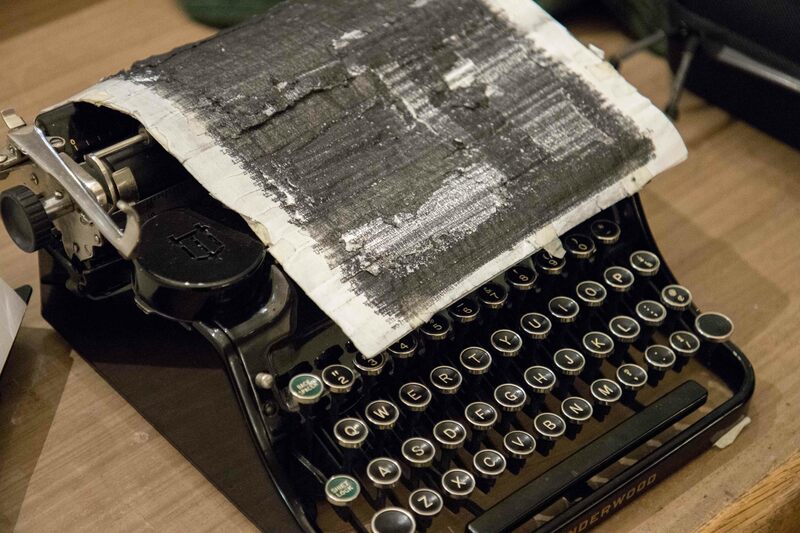 Youd’s appearance on campus is part of his “100 Novels” project, in which he retypes works of literature in settings related to each novel. “As I have come to understand the project, it is at its heart an effort to be a truly good reader every time I sit down, and to become a better reader as I continue to move through the entire 100-novel cycle,” he told the The Herald-Sun. On a recent afternoon, Youd took some time to reflect about this chapter in his 10-year project.